In 2012, almost ten percent of all major league players were born in the Dominican Republic. This is despite the population of the United States of America being more than thirty-one times greater than that of the D.R. How does the Dominican Republic produce so many baseball players, one might ask. Well, baseball academies run by major league teams and player agents are one of the driving forces increasing the number of professional baseball players from the D.R. 28 out of 30 teams have a baseball academy in the Dominican Republic. It seems like a new multi-million dollar complex is popping up down there pretty much regularly. Most academies are around the Santo Domingo and San Pedro De Macoris areas, on the Southeastern coast of the D.R. Notable players from Santo Domingo include Adrian Beltre, Felipe Alou, Albert Pujols, and Rafael Soriano. 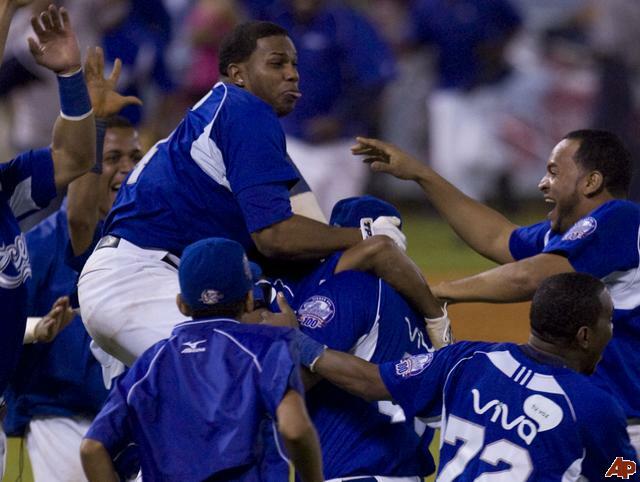 San Pedro De Macoris has produced players such as Sammy Sosa, Robinson Cano, and Rico Carty. If there is any question as to whether these academies are worth it or not, one can easily find the proof it is in all of these talented players to come from this area. The amount of money that goes into building these factories for building baseball players is crazy. Back in 2008, San Diego spent $8 million on building one of the nicest academies on the island. Just this winter, the Mariners have announced plans to spend $7 million on a new facility in the D.R. The amount of money that is poured into the Dominican is ridiculous, but somehow MLB teams still get some of the best teenage baseball players in the world for discount prices. Perhaps that is the main reason that keeps convincing teams to allocate their money to Latin America. The living conditions for teenagers in these academies is not fancy or luxurious, however, it’s much better than what most of them had to deal with on the streets for the first part of their lives. More than half of Dominicans live in poverty and these academies provide a chance for teenagers to help get their families out of poverty. Most of the young Dominican baseball players in the academies came there with not much more than an elementary school education. The academies give Dominican kids a chance to learn English and take other classes at the same time as reaching their full athletic potentials. As players are signed at the age of sixteen, it’s not long before baseball becomes their full-time job. At the academies, these young ballplayers play baseball every single day of the week. These factories feed the teenagers enormous amounts of food to ensure that they can put on weight. The players receive instruction from coaches and scouts all day long. They lift weights and learn about life in America. In some academies, players get an hour or two everyday where they give back to their community. It might sound like a sweet life, but the pressure on these young kids is enormous and if they don’t get signed, it’s back to the streets for almost all of them. As teams learn more and more about how to develop talent properly, the facilities in Latin America will just get nicer and nicer. Take the Mariners new complex, for example. It will include two full-sized fields, a practice field, an agility field, lighted and covered batting cages, multiple bullpens, dorms that sleep up to 80 players, a dining hall, classrooms, and a computer lab. As time goes on, the once cockroach-infested academies are going to turn into five-star hotels. For young men in the Dominican Republic, baseball is really the only way to make thousands of dollars before turning 18. However, as with all “fast money” situations, the money doesn’t last. The scandalous world of baseball in the D.R. all starts with the academies. Academies give kids an escape from the streets and a place to concentrate on baseball. Nonetheless, one has to wonder if the players get fairly compensated for all of the hours that they give to their academies and organizations. ***Today’s feature was prepared by Sam Evans, Baseball Writer. We highly encourage you to leave your comments and feedback at the bottom of the page and share in the discussion with our readers. Please e-mail us at: mlbeports@gmail.com with any questions and feedback. To subscribe to our website and have the daily Reports sent directly to your inbox, click here and follow the link at the top of our homepage. Posted on October 27, 2013, in The Rest: Everything Baseball and tagged Baseball academies, baseball in Latin America, dominican MLB, dominican republic, mariners dominican academy, mlb reports, padres dominican academy, robinson cano, sammy sosa. Bookmark the permalink. 1 Comment.